A good place to start strategizing for 2018 is to review your successes, challenges and failures during 2017. Whether positive or negative, experiences always teach valuable lessons. How well did you market your business? What kind of return on investment did you generate? Where your sales efforts focused, or did you just jump around and grab any job that came your way? What were your best orders? What were your worst? Did you make money or lose money in total? Now is also the time to look at your production efficiency. If you don’t have a lot of sublimation output, it’s hard to see whether your throughput is optimized. But as you grow your business, your production efficiency will have a very significant impact on your profits - or lack thereof. Try exploring new ways of getting your jobs processed faster, better and more effectively so you can cut back expenses both in the short and long term. Once you have assessed your business success in 2017, start setting goals for 2018. We recommend working backwards. Determine what kind of net revenue you want to generate. Then, look at the sales, pricing and production levels required to achieve that goal. Also look at what markets you currently serve, and then ask yourself what markets make sense to expand into. Use that information to conduct some good market research and build a strategic marketing plan designed to give you a good foothold in those markets. One big question that you must consider is whether you have the right resources and equipment to reach your goals. Any equipment purchases must be strategic with a long-term focus. Just buying another printer because you are getting too busy is not necessarily the right answer. Instead, look at what you need to print efficiently AND routinely. Also look at what you need to print to expand into new markets. For example, if you want to move into the signage market, an SG800 can help you achieve bigger prints (and thus bigger products) than the SG400. But a VJ 628 – with a 25” / 630 mm print area - is likely a better choice for offering real value to signage customers because it offers a much large print area than the SG800. The VJ 628 also offers much greater flexibility with multiple, application-specific ink sets, such as SubliJet-HD FLEX, which has expanded gamut and fluorescent capabilities. The JV 628 generates widest range of products, which in turn will generate more opportunities to bring in higher revenues. Focus on the profits you can generate, not only on the price of the equipment you need to generate those profits. Ultimately, if you buy the right equipment it will pay for itself – many times over. To help you with your strategies, is important that you tap into resources that can provide high quality, reliable information about sublimation business strategy. Where can you do that? Start by attending a trade show or exhibition. Most industry events offer an assortment of dealers who can show you the newest equipment and products, and a wide range of educational presentations offered by industry professionals. Make it a point to choose to visit at least one event in 2018. You will find a list of opportunities on the Sawgrass website. A second resource is the Sawgrass website where we offer webinars, videos, instructional documents and more. 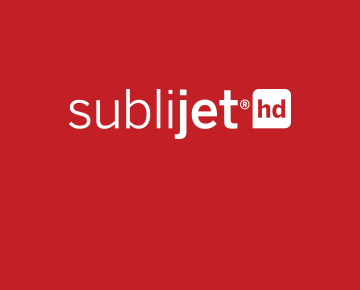 Check out the Resource Center at SawgrassInk.com and browse through our ever-expanding library of tools for sublimation and business success. No matter what you do, always make your moves with strategy and goals in mind. That’s the only way to consistently grow year to year.